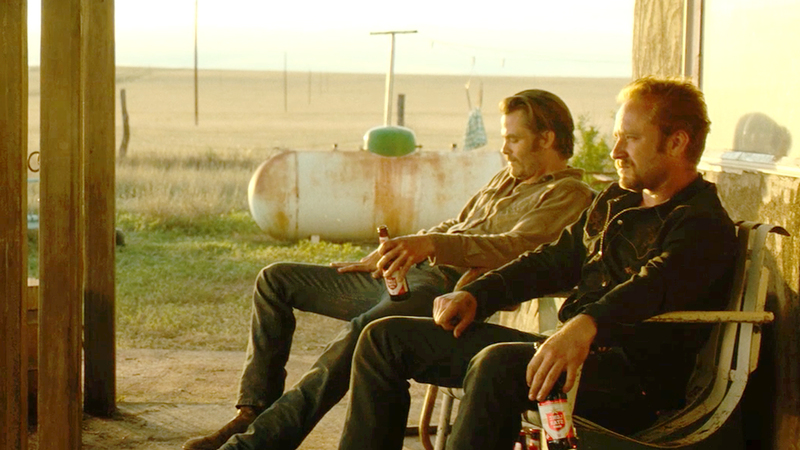 Hell or High Water (2016) – Movie Review – Another Movie Blog! Went into this one with next to no expectations, and came out pleasantly surprised indeed. With Hell or High Water Taylor Sheridan proved that has script for Sicario was no fluke, making great use of updated western tropes to tell the story of two brothers robbing banks, the increasingly morally complex reasons revealed over time. It’s very much the movie of the writer, like Killing Me Softly linking to the economic crash of 2008 is made very obvious through everything from monologues to graffiti (though perhaps not as on the nose as even Killing them Softly, or the more obnoxious The Counsellor). But none of that would work without the director of David Mackenzie, who between this and Starred Out continues to impress. There is no shot in the movie that is as memorable as the descent into darkness in Sicario, but he directs the conversations in between bank robberies with the same degree of engagement and excitement. This is certainly the best role of Chris Pine’s career, and he makes himself strongly felt even in the film’s quietest scenes (particularly the film’s finale). Ben Foster, meanwhile, serves as the perfect foil as the loudmouth, ex-con brother. It’s familiar crazy ground for the actor, as is the western drawl Jeff Bridges, but 90% of directing is casting and the movie is cast perfectly (also worth mentioning great work by Gil Birmingham as Bridge’s Native American counterpart). There are moments where the thematic ground feels, essentially, Cormac McCarthy lite: No Landmass for Slightly Aged Men. And the “racist banter” between Bridges and Birmingham feels like an attempt to capture the Hank/Gomez dichotomy in Breaking Bad, or to explore character, in a way that doesn’t really work. But in the increasing revitalisation of Western ideas in the modern day, Hell or High Water finds itself near the top of the pack.